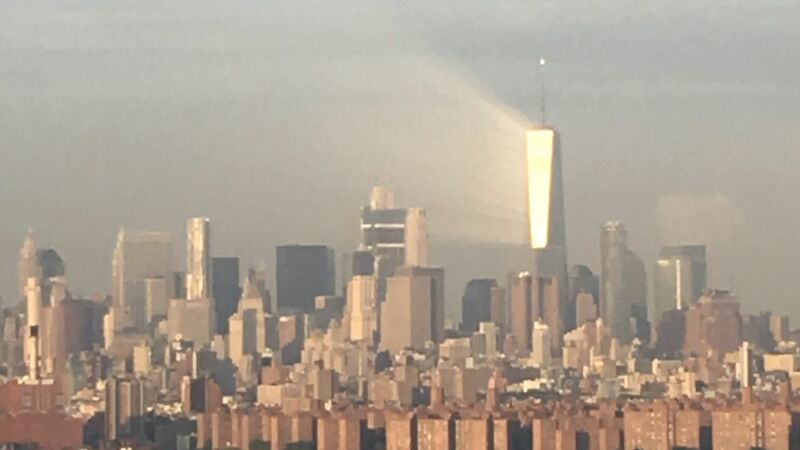 NEW YORK CITY -- A New York City man captured a photo of an unusual beam of light reflecting off One World Trade days before the 15th anniversary of the terror attacks of September 11, 2001. 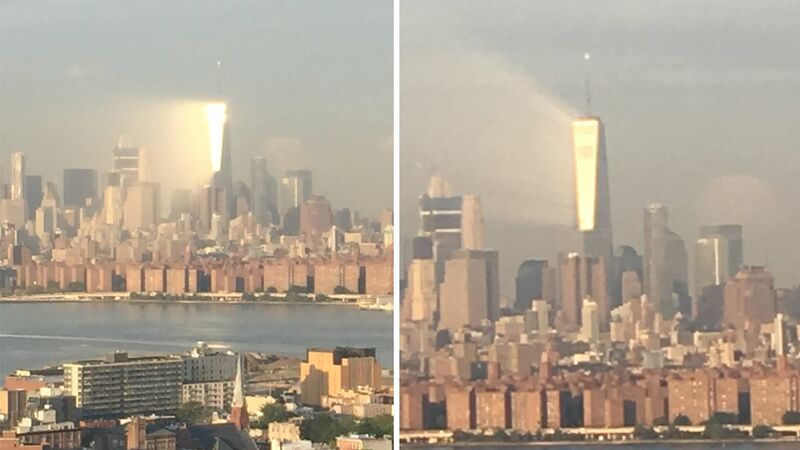 Ben Sturner said he looks out at the World Trade Center from Long Island City in Queens each morning - and hasn't seen anything like he saw at 7:11am Thursday. The self-professed amateur photographer described it as a "weird, reflective light." It was there for about 10 minutes. At first, Sturner said he was reluctant to post his photo to social media because he was unsure how people would react to it, but ended up sharing it hours later. He thought it would help lift people's spirits. Sturner said he didn't edit the photos in any way. Meteorologist Lee Goldberg, of our sister station WABC-TV, said such an event was certainly possible. He said the low angle of the sun at that hour, combined with the high dew point and amount of moisture in the air Thursday made the conditions just right for the water particles to be illuminated in that way. This isn't Sturner's first experience in capturing a rare event surrounding the 9/11 anniversary. 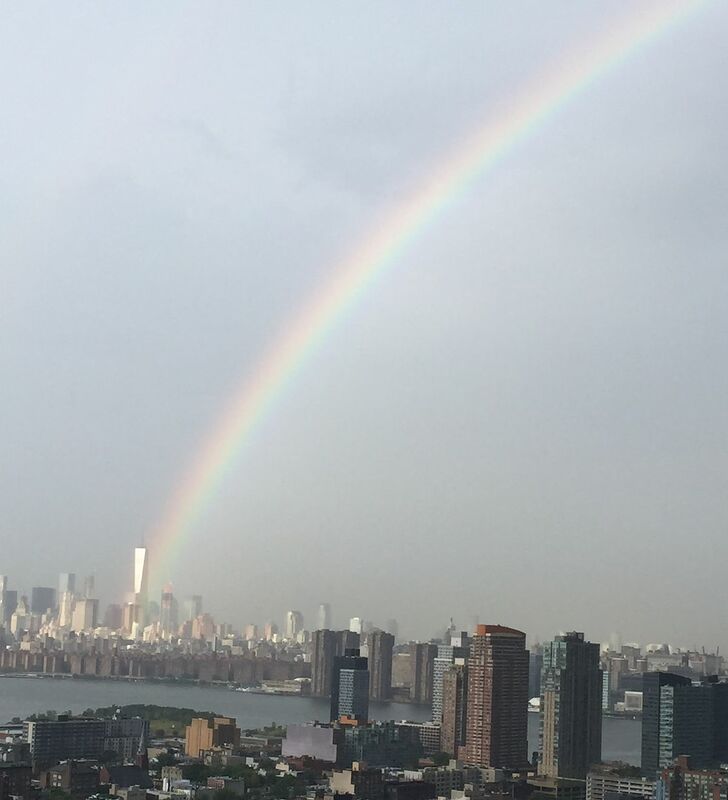 Last year, the marketing agency owner captured the photo below of a rainbow appearing to be coming from the World Trade Center on the day before the 14th anniversary of the attacks. 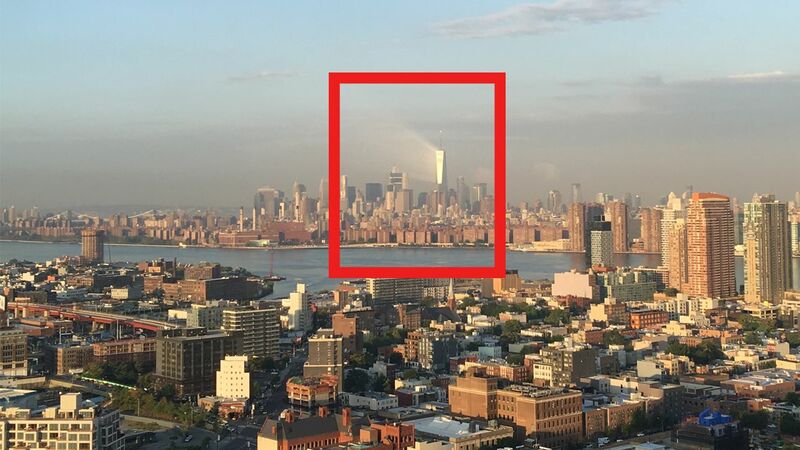 He was in the same place at almost the same time as this year's capture - 7:57 a.m. on the Thursday before September 11. The photo went viral, and was shared by millions of people on social media. "That photo brought so much light and hope," said Sturner, adding that he never thought he would see anything like it again. He said the comments from people have been the most inspiring to him. @leverageagency @SummerSanders_ beautiful and inspiring. When asked about being the one to capture both occurrences, he said it's just a matter of being in the right place at the right time.